I’m excited to introduce you to our first Learn Spanish and Kids Yoga through Books monthly series, which we will be co-hosting with Spanish Playground. 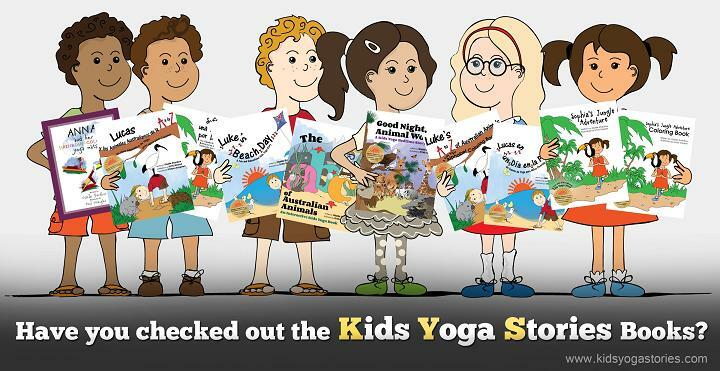 On Kids Yoga Stories, we will be featuring books on a particular theme and provide you with matching yoga sequences. 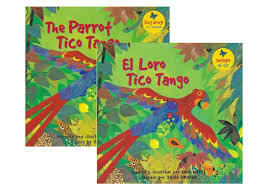 On the Spanish Playground site, you will find the sequences in Spanish, along with other fun, creative activities to go along with one of the books. 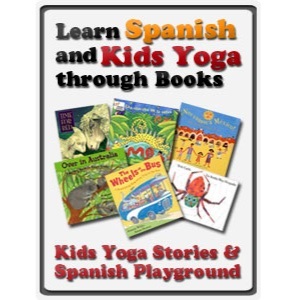 This month’s Spanish Books and Kids Yoga theme is on Central America for Kids in honor of Hispanic Heritage Month. We highlight four books (three of which are from Barefoot Books) that are available in English and Spanish, along with corresponding yoga poses to bring the stories alive. The keywords are listed in a specific sequence to create a safe kids yoga experience that encourages flow from one pose to the next. Some guidelines for practicing yoga with your children: Feel free to shorten or lengthen the sequence to suit your age group by changing the number of poses. Don’t forget to practice on both sides/legs. Focus on having fun with movement, not on practicing perfectly aligned poses. Engage the children. Create authentic, meaningful experiences. Follow their passions and interests. Cater to their different learning styles. Be creative and enjoy yourselves, but please be safe. Wear comfortable clothing and practice barefoot. Wait one to two hours after eating before engaging in your yoga session. This post has Amazon affiliate links. Three of the yoga sequences below are “5 for 5s: Five kids yoga poses for five minutes”. Feel free to invent or add your own poses as well. For pose descriptions and illustrations, visit the List of Kids Yoga Poses. Download a printable of these Latin American kids yoga sequences. The books and kids yoga sequences above can all be practiced with the Spanish versions of the book and with Spanish pose instructions. 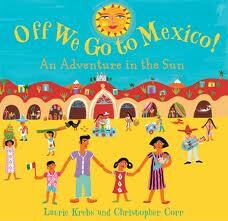 Visit Spanish Playground for activities for Off We Go to Mexico/ Nos Vamos a Mexico by Laurie Krebs. 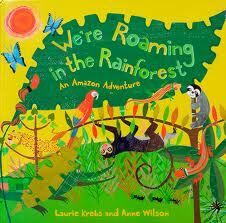 This delightful story features bright, colorful illustrations and rhyming text as you travel around Mexico. The English version also includes highlighted keywords in Spanish, like beach, whales, mountains, tunnels, and festival. The activities described on the Spanish Playground website use the map, vocabulary, illustrations, colors, rhyming words, related words, history, and culture of the story to provide engaging and meaningful learning experiences. All of the listed activities could be adapted to English as well.